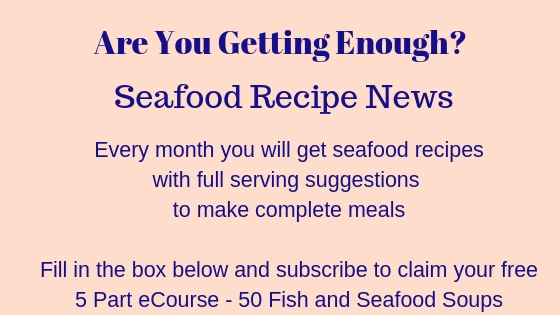 Please use the contact form below to ask your fish and seafood questions. I will get a copy of this into my inbox - if you add your own email address, then you will be notified when there are any additions or responses to your question. Doesn't matter what it is - how simple - everybody has to learn sometime - so if you have a question, please ask - I will answer where I can or search for information if I don't know the answer. 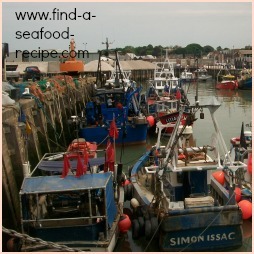 Some people have emailed asking about specific problems with the recipes, how to calculate the amount of fish needed for large catering events such as weddings - what is basa fish and river cobbler - what is the best fish to use for frying - what is the best batter recipe for cod - how do I cook smoked haddock - is there a cheaper alternative to cod? 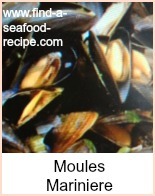 One that comes up time and again, is what to serve with fish - there's a section called 'sides' which will hopefully help you there. If you want to know more, then please fill in the form. 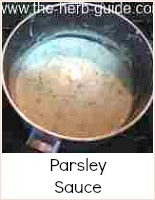 How to make parsley sauce - the most popular - lovely with new potatoes and plainly cooked fish - some of the answers can be found within the site, but it doesn't matter - if you have a question and can't find the answer quickly, then I really don't mind if you fill in this box - I can either answer you or direct you to the right page so long as you fill in your email address. We all have to start somewhere in the learning curve - I remember learning to cook along side my nan - I still have some of her cookware, loaf tins, muffin tins and of course her recipes are in my head! Feel free to ask whatever you like and I will do my very best to respond to you. 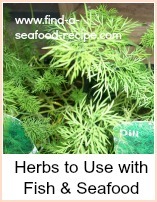 If you are looking for a specific recipe, then fill in this box and I will try and find it for you.